A variety of applications require a variety of tools: Regardless of whether you are Installing drywall onto wood or metal substructures or an intermediate layer of plywood - with FEIN deck - drywall power screwdrivers you will always have the right tool for your requirements. With a variety of speeds and clutches, FEIN deck drywall screwdrivers can handle virtually any fastening task on a construction site. FEIN drywall screw guns have the power, light weight, reliability, and precision to facilitate rapid, fatigue-free work on floors, walls and ceilings. They ensure unequaled performance and durability, every day in every application. 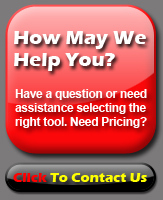 at 877-702-8665 for assistance in selecting the right solution for your needs.